With Glittering Eyes: A thousand little strings. 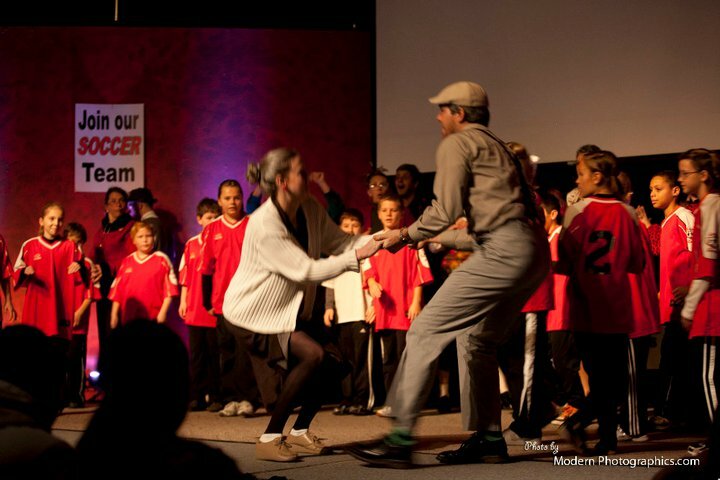 Last weekend, Josh and I played small roles in the children's musical at our church. 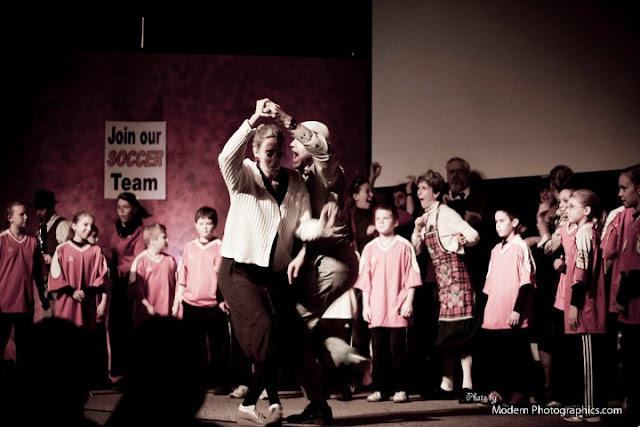 The musical was a mix of kiddos and adults (mostly their parents) dressed as elderly people. Josh and I were asked if we would participate in one of the numbers by playing the role of a swing dancing old couple. Of course, we said yes! So this weekend, I went to goodwill and got some pretty hot clothes and sprayed my hair gray and put wrinkles on my face with a brown eye liner pencil. Josh didn't find me particularly attractive. Seriously, every time I would see one of our teens they would start cracking up. It was actually an interesting experience looking so bizarre. Looking ridiculous in front of 1000 people was humbling, especially considering the fact that I rarely leave the house in sweats or a sweatshirt, (Hey, I like looking nice! I submit that there is nothing wrong with that.) Also, I kept forgetting how I strange I looked and would be carrying on normal conversations with friends who would suddenly start smiling and shaking their head in a "I can't possibly take you seriously right now" sort of way. 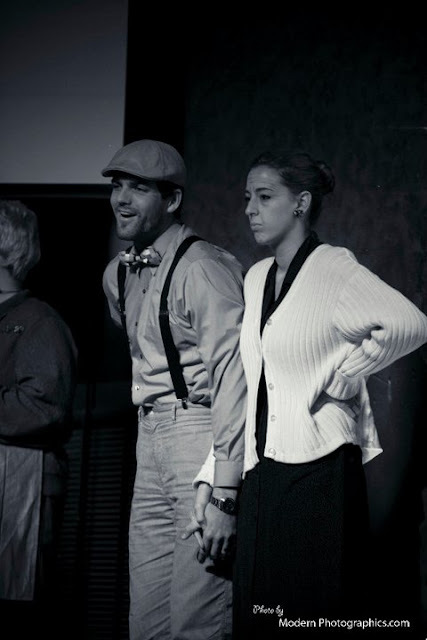 Josh looks like himself and I look like an old hag. This is further proof of my theory that he is going to age like George Clooney. Ohhh yeah! I love dancing with him. He is so much fun! I titled this post "A thousand little strings" because it's moments and experiences like this that tie us together. This was a shared experience that he and I had with each other... no one else. A little string created by a moment in time that binds us together. Multiply these little strings times the thousands that we've made already and that creates one strong bond, don't you think?